I've caught a creative bug and it just may stick around for awhile! On a recent craft run, I bought a ton of new things for some new Spring projects. 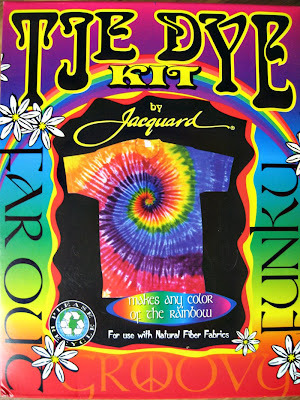 We've used other kits before but this Tie Dye Kit by Jacquard is the best I've come across so far. It has a dye fixer which is the key to bright, vibrant colors. I'm hoping to purchase some blank dresses from Dharma Trading Co. for a big tie dying party! 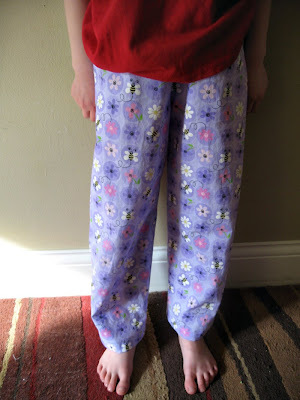 Another project I thought I'd tackle were the pajama bottoms from Heather Ross's new book, Weekend Sewing: More Than 40 Projects and Ideas for Inspired Stitching. My mom had recently purchased this book and created some fabric napkins (which are super nice and a great way to reduce paper napkin usage, by the way) and I was more than willing to steal borrow it from her! 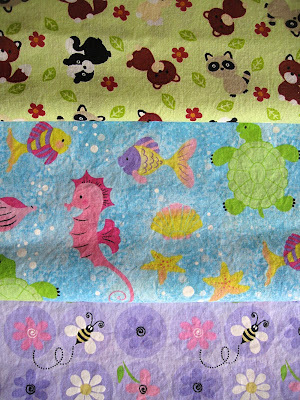 I got some cotton fabric from Joann's, held my breath and hoped for something slightly better than terrible. I actually completed Lana's pair today. Here they are! I have some other project ideas rattling around in my head as well. 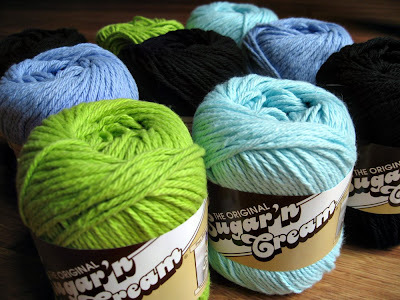 I bought this cotton yarn by Sugar'n Cream to create a mini version of a vintage granny square afghan. Cross your fingers on this one. I'll show you the finished product when it's complete. That may not come for some time, though. I'm quite an accomplished procrastinator. 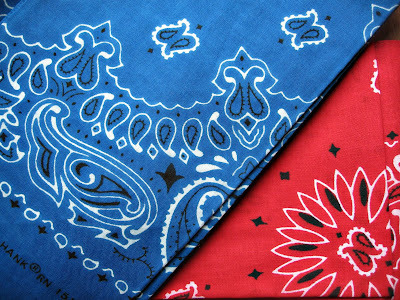 Also, snagged these bandanas to make a couple of dresses seen on the Daisy Janie blog. I gave myself plenty of time for this one, however I may still be working on them come midnight of July 3rd. Just kidding! Two cute babies I know will definitely be sporting these at the local parade this year! What crafty project ideas are tugging at your art strings these days?